Mom and I have kind of figured out our shipping policy for this Christmas. Because this is all unchartered territory, we hope we are doing the right. In order to get it before Christmas in the 48 United States, order before December 14th. 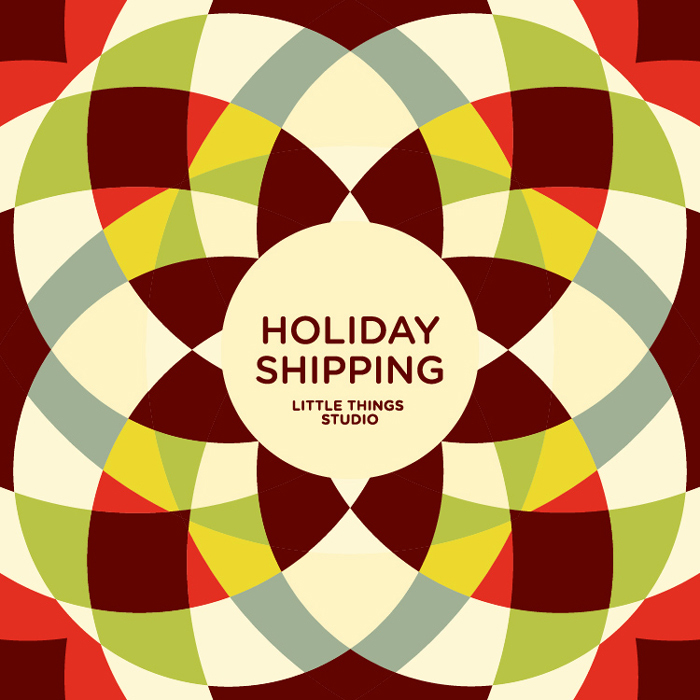 After that, we will either A. charge extra for a rush order OR B. email you a print out that says “Your present from Little Things Studio is on its way.” You will just have to let my mom know which you want.